The primary elections are over and now we're revving up for the November elections! We’ve already had a packed schedule with presentations around the county. In the past two months we’ve co-hosted the Community Conversation for Congressional District 27; we were co-sponsors with the Gwen S. Cherry Black Women Lawyers Association and Mount Hermon AME Church to host judicial candidate forums and we celebrated the 98th anniversary of the 19th Amendment with Women’s Equality Day at Roxcy O’Neal Women’s History Park where Congresswoman Ileana Ros-Lehtinen was honored. We’ve also been hard at work reaching out to underserved communities and informing constituents about the Constitutional Amendments on the November ballot. We’ve established partnerships with communities in Miami Gardens, Little Haiti, Overtown, and Homestead while continuing engagement with our current partnerships. AUGUST PRIMARY ELECTION - THE RESULTS ARE IN! The August 28 primary is behind us and we had over 21,000 Miami-Dade County voters use our online voter guide, Vote411 - that's 7% of the 298,000 voters who showed up to the polls on Election Day! Our first ever Google AdWords Grant provided us the means to appear in over 8,500 searches with over 1,900 people visiting our website for Primary information. This great news and lets us know that we are accomplishing our goal to educate and inform the community and complements Miami-Dade's record voter turnout! As we look ahead to the November 8 election, we are hosting workshops and forums to de-code the ballot. Keep an eye on the Facebook page for more information on these upcoming events. We will also be registering voters on National Voter Registration Day, September 25, and promoting our Party at the Polls. Contact volunteerslwvmd@gmail.com to you would like to help out at any of these events. There is a referendum on the November 6 ballot to provide funding for wage increases for Miami-Dade County Public School's (MDCPS) teachers as well as additional funding to secure our schools! We urge EVERYONE to vote YES and support this important ballot initiative. MDCPS has had consistently rising student achievement and graduation rates, in no small part to the outstanding work of our MDCPS teachers! You can read more about the referendum at secure our future! The LWVFL sued the State to remove Amendment 8 from the November 6 Ballot. The amendment included misleading language to hide the intent of the CRC, which is to wrestle local control of schools from local School Boards and taxpayers. We will know the final outcome soon as a court date is scheduled for September 5. Read the background here and LWV FL statement here. CALL TO ACTION - EXPAND EARLY VOTING TO COLLEGE CAMPUSES! In July, the League won our lawsuit over the state’s prohibition of early voting locations on college and university campuses; however, Miami-Dade County Elections stated that they “have already confirmed its early voting sites for this election cycle” and WILL NOT add any early voting sites to college campuses. 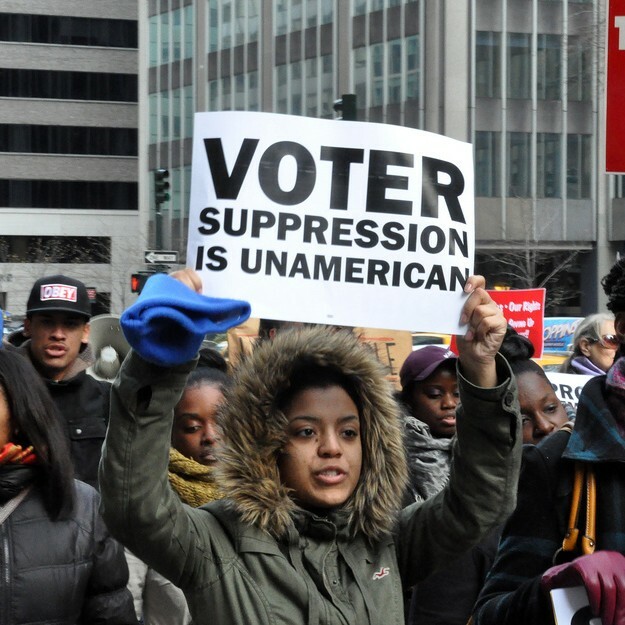 Denying students access to the polls disenfranchises these voters. We ask that you contact the Supervisor of Elections, Christina White, and the Deputy Mayor for Elections, Alina Hudak, and DEMAND they establish an early voting location at FIU for students! HOLD THE LINE - THE UBD LINE! Created in 1975, the Urban Development Boundary (UDB) separates urban development from rural and open lands, by creating a vital buffer of land between metro Miami and the Everglades. This line is currently under threat and we need YOU to help protect it! 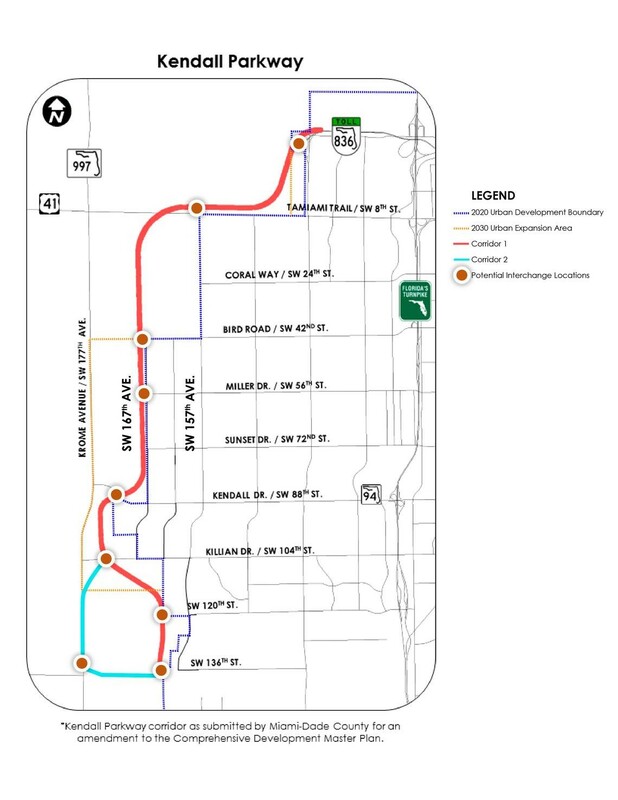 We need you to CONTACT the following commissioners before the September 27, Commission Meeting and TELL THEM we need to Hold the Line and not extend the 836 beyond the UDB! DO YOU LIVE IN ONE OF THESE AREAS? CONTACT OUR ELECTION TEAM! LWVMD has made a commitment to address and reverse historically low turnout in the following communities! We need your help with voter registration and educational events. If you live in or have contacts in these areas, please email Rachel.Federgreen@gmail.com. Participate with your League by volunteering in a committee, join in the electoral process and be informed about the issues that matter to you! 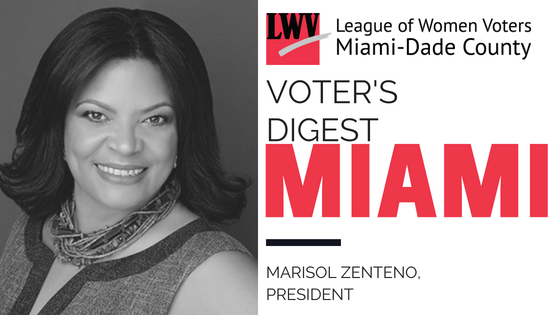 Go online and donate to the League of Women Voters Miami Dade, ask your family and friends to join so we can grow and continue to advance the mission to educate, advocate and defend voting rights. You can still make public comments about the budget at this public budget hearing, and at the second public budget hearing on Thursday, September 20th. You’ll need to fill out a speaker card when you arrive, and when you’re called up, you’ll have two minutes to share your thoughts. Learn about the 13 proposed amendments to the Florida Constitution with speakers: Raymer McGuire, from the ACLU; Marisol Zenteno, the League of Women Voters; Sonia Stratemann, Elite Greyhounds; the Florida Division of the Humane Society of the United States, and others. Join thousands of South Floridians as we Rise for Climate, Jobs, & Justice, part of a global day of action. Bring fresh ideas and learn about the various ways you can get involved by attending our monthly Board meetings. Join us as we break down the ballot amendments in the November 2018 election. Help us register voters for the 2018 Election! Republicans & Independents may find Democrats on their August 28, 2018 Ballot!